Thanh Nguyen was born in Vietnam and spent his childhood running around naked in the rain. 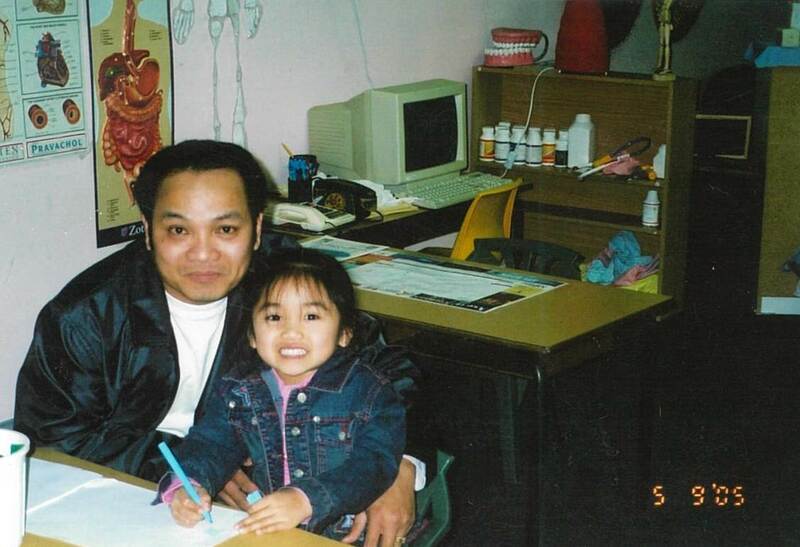 Thanh was then catapulted into Aussie life where he had to support his family despite his inability to speak English. Today, his words remind us of the value in education, family, and happiness. Thanh: I hope that my kids grow up, and then they get marry, and they, uh… they got kids, and become grandpa. And when I retire, I got grandchildren, and I can play with them or take them to school or take them go to adventure. This is Thanh Dung Nguyen. He was born on March 11, 1965 in Saigon, Vietnam. It was there where he spent most of his childhood. Just normal life. Little kid, grow up, and go to school. Shower in the rain [laughs]. And naked [laughter]. And run around with the friend groups. However, when the Vietnam War started, he was forced to flee his home in search of a better life in a different country. Uh, communists [came in] and took over country. Yeah, I left Vietnam and I come to Thailand seeking [help] and camp. I [was] stuck there, and you don’t know what your future is, and you don’t know in what country you become. You [are stuck] there so you have think, you have to do something to survive, and waiting and waiting. Patiently waiting until you know and [go to the] second country. The emotion [you feel is] to be strong and, uh, to live. This emotion to be strong for me would have to be a man in a family. You have to take [care of] your family, to look after your family, now until I die. The most scared [I would be was if] I can’t protect my family or my children when they go somewhere. What happens to some people else, you know? I think I have to stay together with my family and be stronger. We try to show the outcomes with family whatever happens. You have to stay with your family. Have to be strong. He now lives in Australia with his wife and two beautiful daughters. However, despite his many successes, he still has some regrets. I would tell myself, if I was back to when I was younger, I would tell myself I have to study and become like smart people. And do, you know, do a good job. Get a good job and good life. Not miserable, life not miserable or not hard work or something like that. I always dream if I born in Australia, I will become like a lawyer or I will become a doctor or I will become civil engineer or something like that. Because I really want very, very good English. But I come here, and I come in Australia when I’m already older. And I get married when I come here, so I have no chance to go to school. And I can’t go to school, because when I come here I don’t have anything. So I have to try and work hard and earn money to look after my family. I asked him what freedom meant to him. Freedom mean to me is, uh, life easy to live in. You’ve got the right to say, you’ve got the right to do, and to be fair at work. So everyone have to be fair, and live in [equality]. For me, I think for me here [in Australia], is freedom. Because when you’re here, no one force you to act or do this, or [if anything] happen to you – or your family – it’s easy to sort out. And many people can help you sort it out here, compared to Vietnam. No. This life is… I’m happy. So… I’m happy with life in Australia. So I don’t have anything to add.